Chakra Balancing is a subtle energy technique in which the practitioner uses their hands or a pendulum to clear and balance the seven basic energy centers of the body. Chakras are the openings through which life energy flows into and out of our aura. When your chakras are out of balance, you are more likely to experience stress, or to become sick. Chakra Balancing has many benefits. It not only restores your energy for greater vitality and health, but it also improves the quality of your sleep, and reduces the mental and emotional effects of stress. Chakra Balancing is an excellent form of preventive healthcare, as it can correct many problems before they ever manifest! 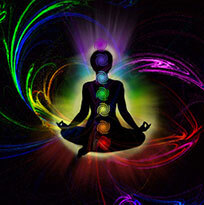 To schedule a Chakra Balancing session, click on the practitioner’s name for contact information or call 315-373-0626.